"Great job and well priced. Very impressed"
I called several local plumbers that I found online but all were too busy to come out to look at my leaking tap. Harry arrived in the afternoon and was polite and helpful. Great job and well priced. Very impressed. Do you have unpleasant smells coming from your sink? Shower or bath slow to clear? Waste coming up through your drains? Raw sewerage flooding your property? David White Plumbing is here to help. We have a fleet of plumbers available on the road, ready to clear your blocked drains. Our plumbers will attempt to clear the blockage using a plunger, or drain clearing solution, to keep your cost to a minimum. 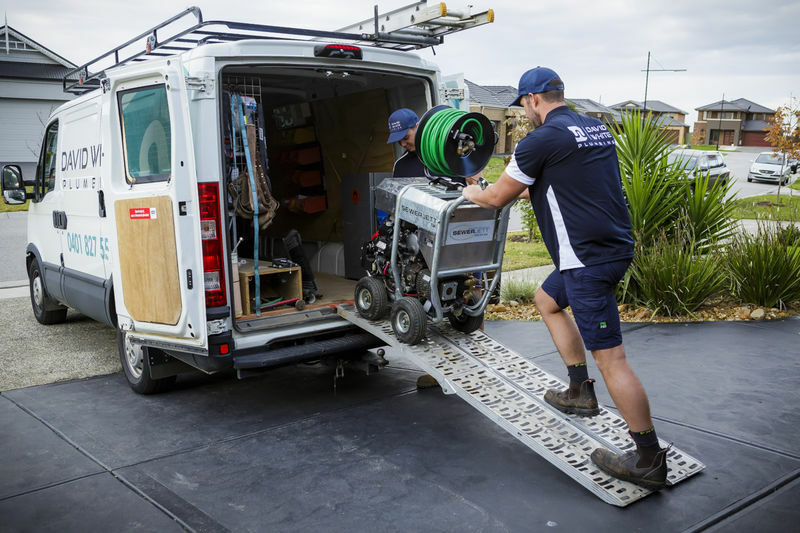 However, if the blockage is more severe, David White Plumbing has the latest high-powered equipment to pin-point the problem quickly and provide a solution fast. We use Camtek Pipe Inspection Cameras with a long flexible probe Saphire lens which outputs a high resolution image on a 10” Colour LCD monitor. You can view video footage of the blockage on-screen or it can be supplied on a USB (on request). 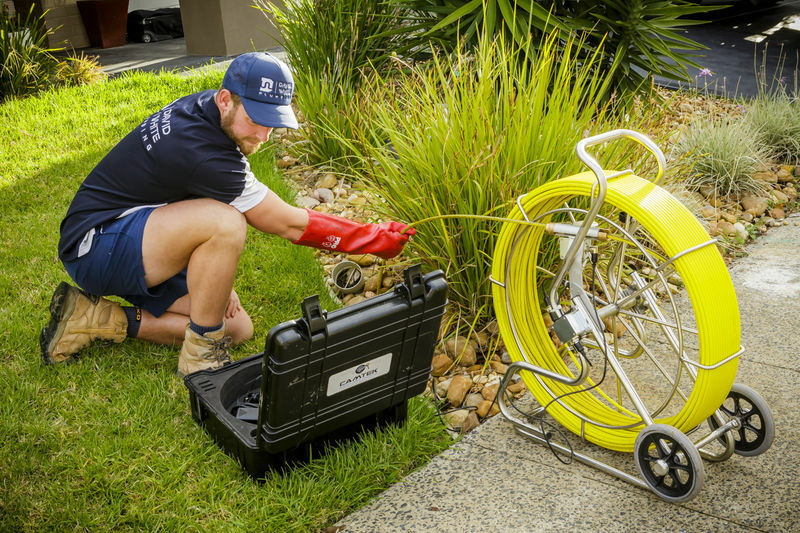 Using a pipe inspection camera can confirm the cause of ongoing drain problems (e.g. tree roots, damaged pipes or other form of obstruction) and could save you time and money on expensive drain repairs and unnecessary digging because it takes out all the guesswork. Having video proof of what is causing the blockage can also assist with insurance claims. 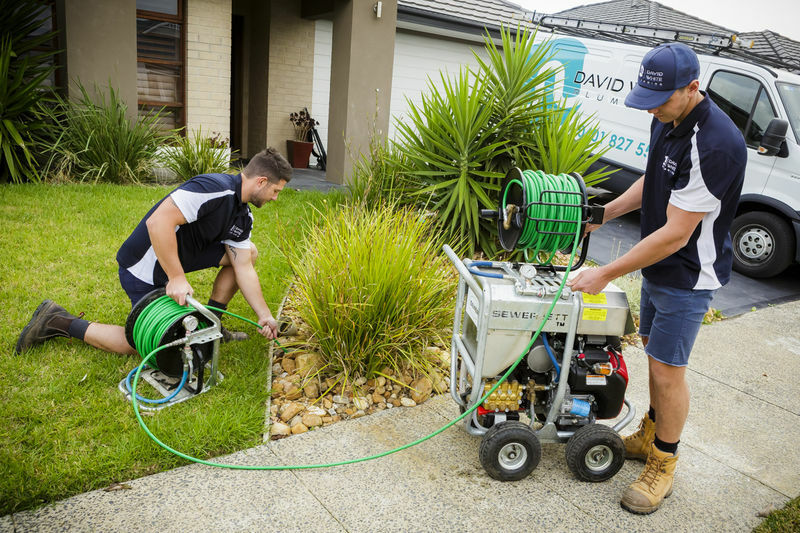 To clear pipes, we use Sewerjett Viper Jetters with a 5000 psi, strong enough to clear any obstacle blocking your drains. Pipes can become damaged due to shifting soil, tree roots, land settling, building or landscaping works. Our team of experienced plumbers can identify the cause of the problem without the need to excavate, saving you money and inconvenience. Drains can block as a result of a build-up of grease, tree roots or foreign objects that make their way into the pipes which can hinder and even stop the flow through your pipes all together. 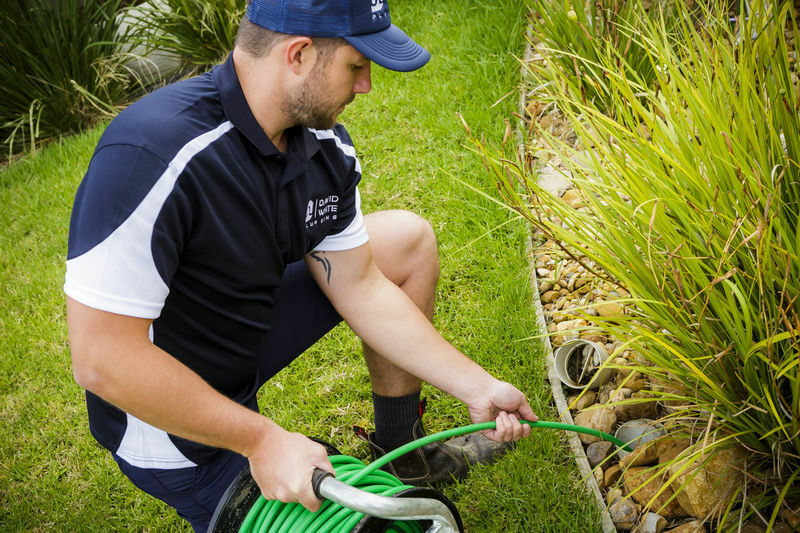 We can unblock your drains as well as provide a cleaning service for blocked sewers and storm water lines. Over time, pipes deteriorate which can lead to a collapse in the pipe line which will reduce or stop the flow through your pipes. Tree or shrub roots can invade the sewer lines through existing cracks and faults in the pipe which can cause a blocked drain. We use high-powered equipment to clear your sewer and storm water pipes.